GORGEOUS NEW BRICK HOME ON WIDE DEEP CANAL APPROX. 200' FROM ST. jOHNS RIVER. Unobstructed VIEWS OF THE ST. JOHNS!!! RELAX ON YOUR PORCH & ENJOY WILDLIFE & BEAUTIFUL SUNSETS!!! EXTRA LARGE 2 CAR ATTACHED GARAGE WITH 38'X35'courtyard drive, Porcelain tile flooring thru out, New stainless kitchen appliances, Corian counter tops, 10x16' shed, Lovely mature Oaks... True Old Florida waterfront living at it's Best! From St. Augustine take SR.16 West to SR 208. Turn West. Follow to river turn North Follow to Colee Cove Rd. Turn West (toward river) Follow curve to SR 13 to Rusty Anchor Rd, turn left. Home on left. 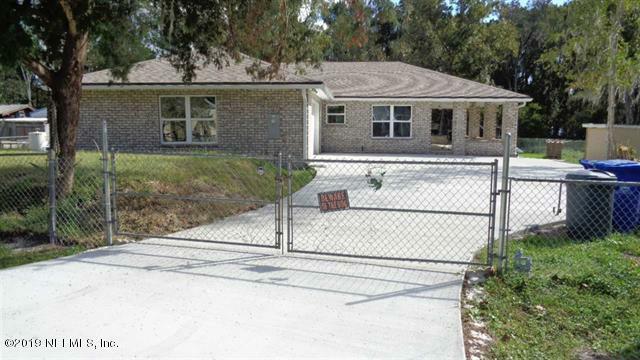 7837 Rusty Anchor Rd is a 1,200 (*estimated) square foot home with 2 bedrooms and 2 bathrooms located in St Augustine FL, ST. JOHNS County. This property is listed for sale at $375,000 and is currently active and accepting offers.